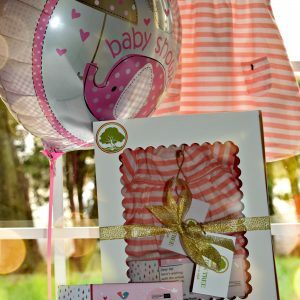 This gift set is perfect for any occasion to spoil someone who has a beautiful baby girl. It can be delivered to any hospital, with your special note. Variations on gift sets are available, feel free to contact us to tailor make yours. 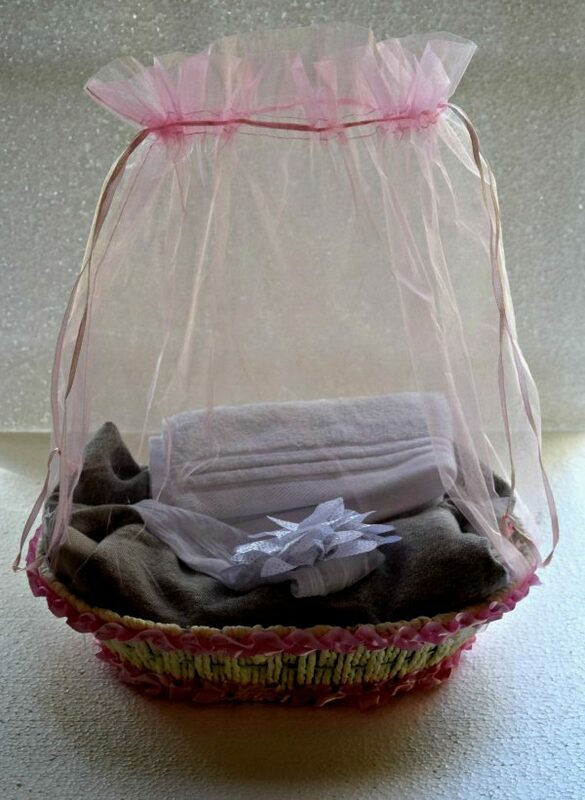 This beautiful gift basket contains our elegant Baby Jumper with stitched on sweater, an Egyptian cotton face towel and a baby headband with a pretty flower stitched on. We present this to you in an exquisite pink organza basket, which is sure to get a WOW response from all who see it.